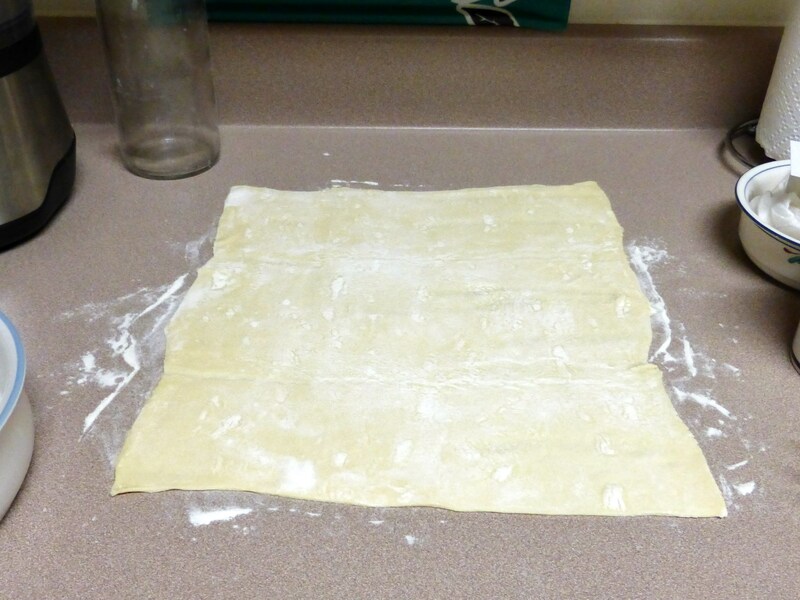 Have you worked with phyllo dough at all? I attempted, if memory serves, on two separate occassions to use the stuff, and never got the results I was hoping for. 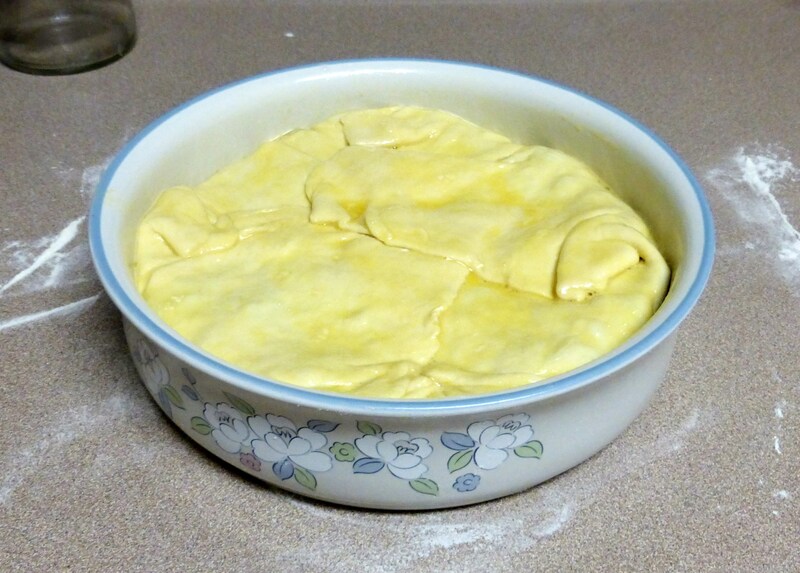 Enter puff pastry (again); all of the buttery layers with none of the work, done and done. 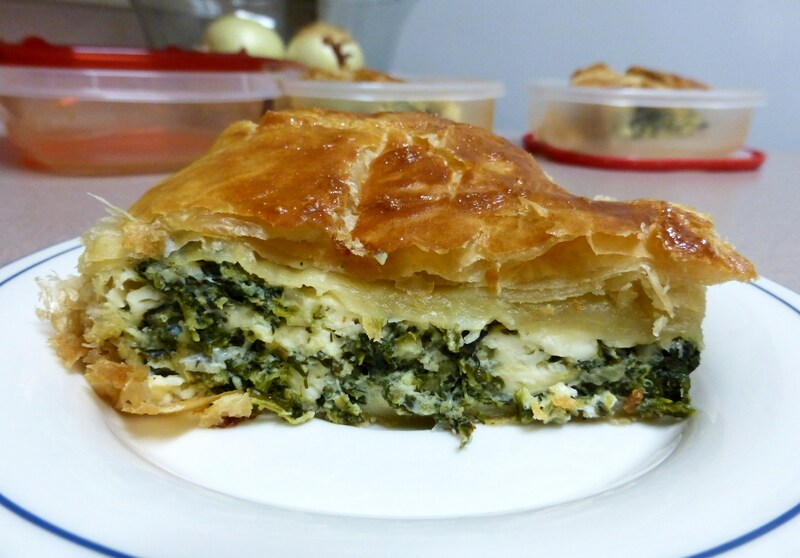 Because Kaki, I freakin’ love spanakopita*. Well, all Greek food, really. But spanakopita, ah, how I love thee. I love thee for your buttery, flakey pastry. I love thee for your can-do-no-wrong spinach-and-cheese combo. And I love that I can relatively cheaply and easily whip up a pie inspired by your awesomeness and eat is at an entree instead of as an appetizer. This also magically falls into the category of “Vegetarian food that non-vegetarians probably won’t roll their eyes at.” Which can be important. Heat a medium skillet over medium heat***. Add the olive oil and heat until the oil shimmers. Add the onion and saute until translucent, about 5 minutes. 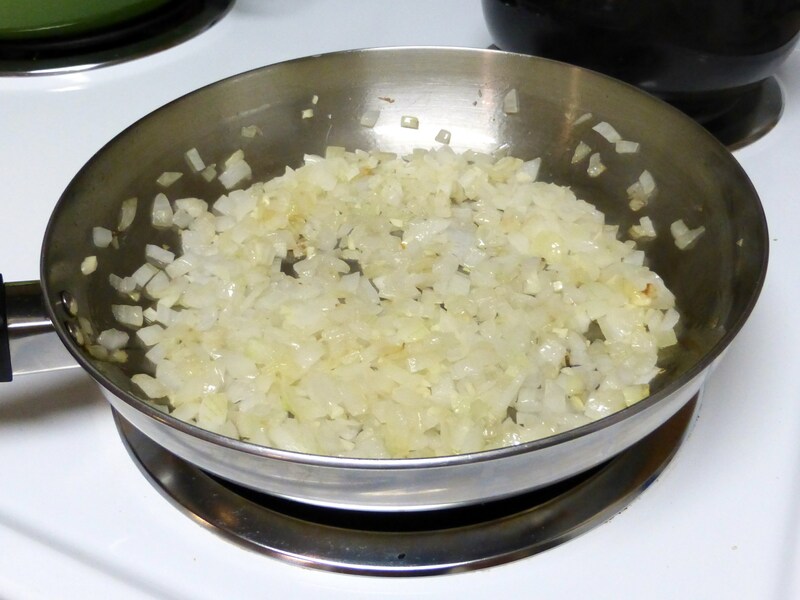 Add the minced garlic and saute another minute, until garlic is fragrant. 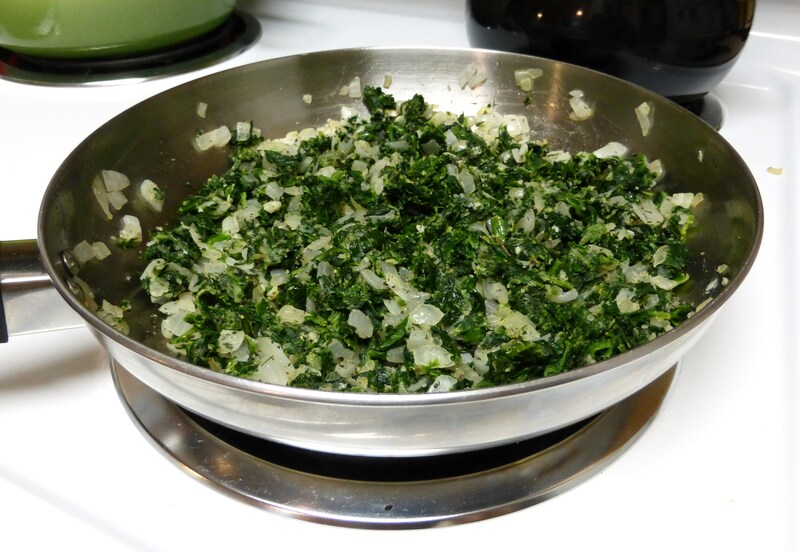 Add the squeezed-dry spinach, dill, nutmeg, salt, pepper, and flour to the skillet, and stir into onion and garlic mixture. Cook for about 10 minutes, stirring frequently. 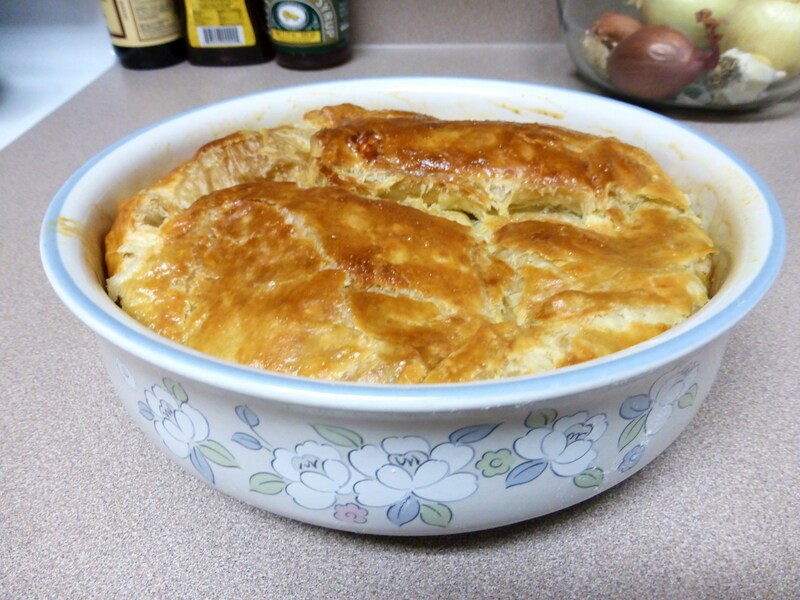 There should be no more liquid in the pan very early, but keep cooking so the flour loses some of its raw flavor. Remove skillet from heat to cool for a few minutes. Combine feta and eggs (reserving some for the egg wash) in a medium mixing bowl. Once cooled a bit, add the spinach mixture to the bowl and stir to incorporate the eggs and feta. Set filling aside. 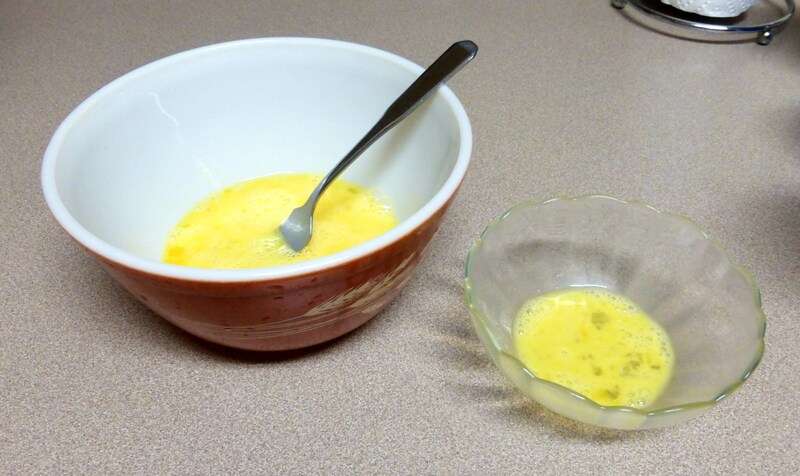 Reserve a little of the beaten eggs for the egg wash later. 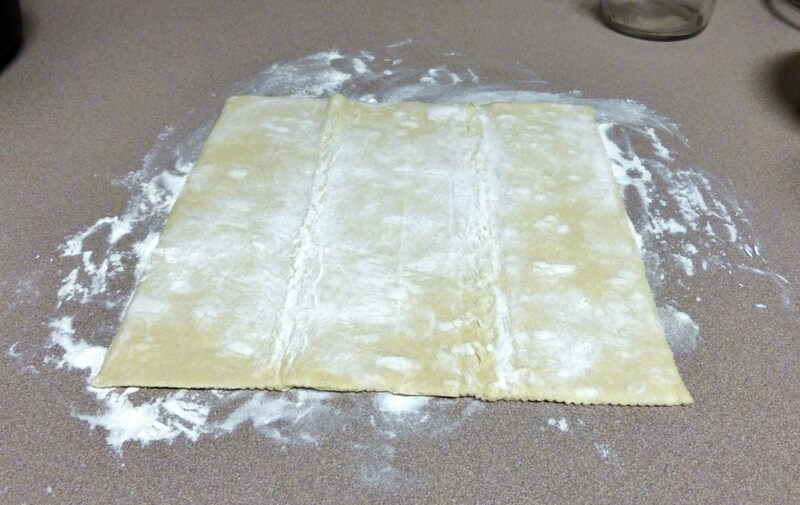 Gently lift the rolled-out puff pastry and place it in your baking dish, making sure the dough extends over the sides of the dish. Spoon the filling into the puff-pastry-lined dish. 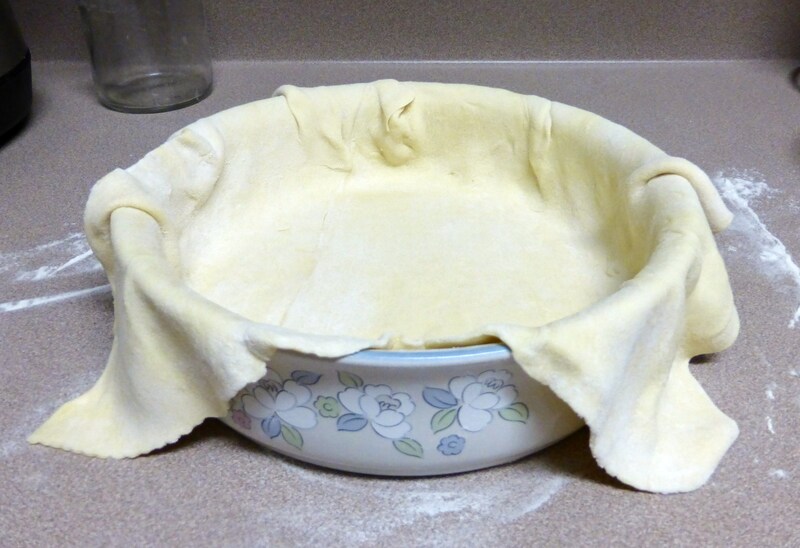 Fold the overhanging edges of puff pastry over the filling. It should cover the filling completely. Brush the top of the pie with the reserved egg. Place the dish in the oven and bake for about 45 minutes. The center will really puff up at the end, so wait until you see that. Remove the pie from the oven and let cool for at least 15 minutes. 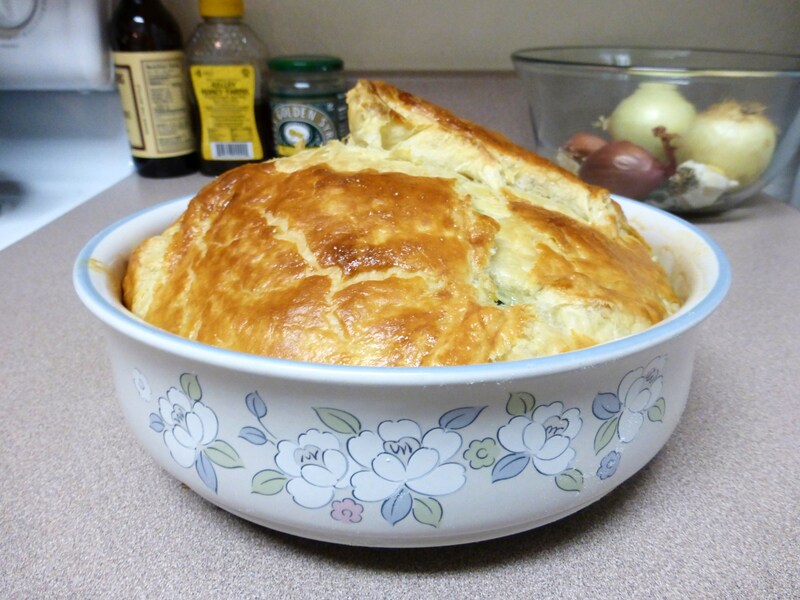 The pastry will deflate until it is roughly as level as it was when it was un-baked. Slice into 6 pieces and enjoy! Hope this lovely early fall is treating you well, my dear. *And samosas. And calzones. And tacos and burritos. Actually, if it’s a tasty filling with a handheld, carb-y outside, odds are I dig it. And I suspect I am in the majority with this feeling. **Really, really dry. I placed the thawed spinach in my strainer, then got a bowl just smaller than the strainer and pressed it down into the spinach to squeeze it against the sides of the strainer. Then I took handfuls of the spinach and squeezed that, too. 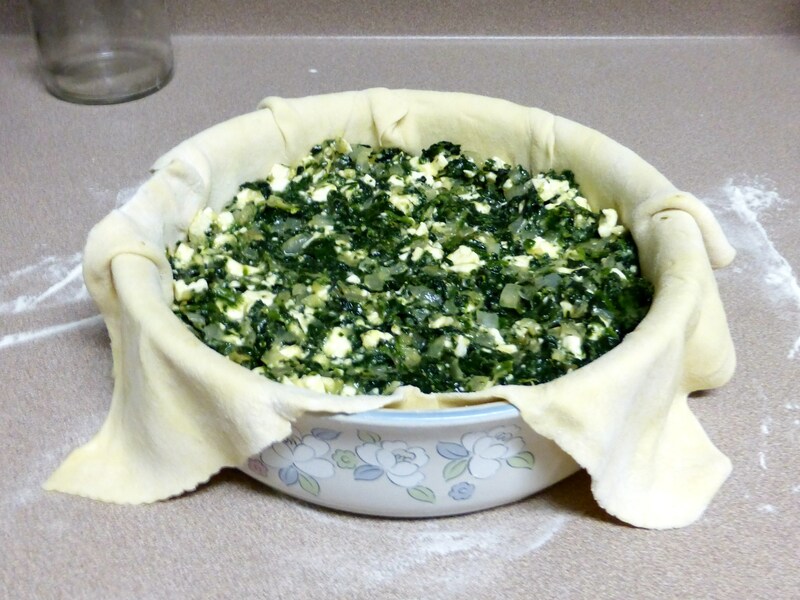 Liquid in the spinach could make your final crust soggy, and nobody wants that. ***That’s a lot of medium.